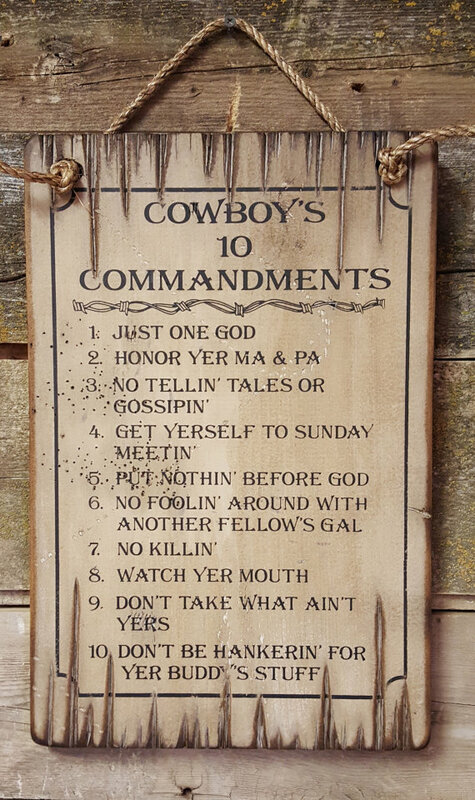 Cowboy's 10 Commandments: This is the cowboy twist on the 10 Commandments! 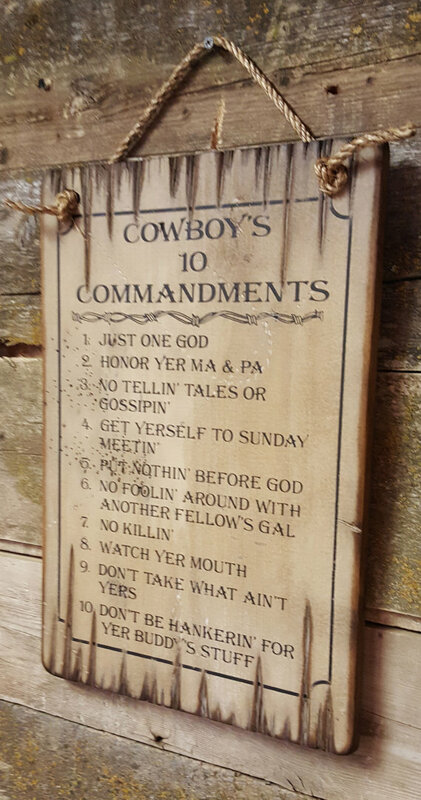 This sign reminds us how we should live out daily lives. This sign has a white background and measures 11x17 and comes with the grass rope hanger for easy hanging. Handcrafted with pride! !